NEWBURGH, IN - Bonnie June Leek, 79, of Newburgh, IN, died Friday, December 26, 2014, at Newburgh Healthcare Center. Ms. Leek was born May 16, 1935, in Muhlenberg County. 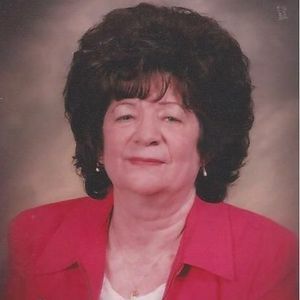 She was retired from General Electric in Owensboro, and was of the Baptist faith. Funeral services will be Monday, December 29, 2014, at 2:00PM at Tucker Beechmont Funeral Home, with Rev. Leroy Rearden officiating. Burial in Myers Chapel Cemetery. Visitation will be Monday after 12:00 noon at the funeral home. Online condolences may be made at www.tuckerfuneralhomes.com. So sorry to hear of Bonnie's passing. My father, Joe Mohon was his cousin. My grandfather, Goble and her mother Estelle were brother and sister. I had lost touch with Bonnie over the years but I remember her to be a wonderful person. Again, your entire family are in my thoughts and prayers at this difficult time.